When it comes to keeping your pool or water feature sparkling clean, safe, and stylish, you can trust the experts at Texas Fiberglass Pools Inc. for all of your Farmers Branch fiberglass pool repair, pool resurfacing, and pool maintenance needs. For all your needs, Pool repair Farmers Branch guarantees that your family and friends will enjoy gathering out back while saving you the worries and hassle! With its close proximity to Dallas, Farmer’s Branch offers easy access to world-class cultural, recreational, and retail attractions, but for many homeowners, nothing compares to the luxury of enjoying a private oasis in their own backyards. Whether you want to update your existing pool with fiberglass pool resurfacing or you’d like to add a feature like a waterfall, fountain, or custom coping, the pool contractors at Texas Fiberglass Pools Inc. are equipped to handle the job. Our services in Farmers Branch range from deck resurfacing and crack repair to leak detection and baptistery resurfacing. We offer pool leak protection, detection, and repair. When a leak or crack in your pool happens, we can be immediately correct it. If we find a crack or leak, all seams of your pool can be sealed and protected using an industry-trusted product that seals and prevents leaks from occurring. At Texas Fiberglass Pools Inc., we only use the most reliable and high quality materials for any of our repairs and renovations for our Farmer’s Branch customers. 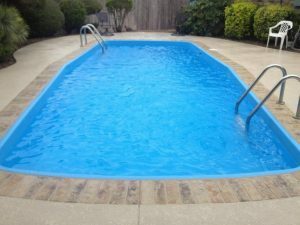 Fiberglass pool maintenance services from Texas Fiberglass Pools Inc. let you experience all of the enjoyment of owning a swimming pool or spa in Farmer’s Branch without worrying about cracks and blemishes that can lead to a premature replacement. At Texas Fiberglass Pools Inc. our quality services offer you peace of mind. Contact us today for more information on our services!